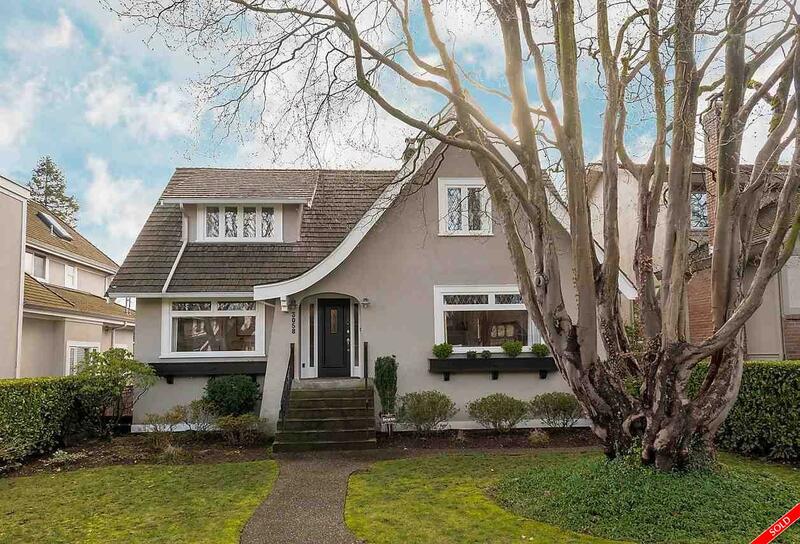 Large family home, on a flat 50 x 130 Kerrisdale/MacKenzie Heights lot, that has been completely updated and very well maintained with many original features. Southern exposed backyard, covered outdoor patio w/heaters & lighting. Large well-proportioned rooms on the main floor consists of Living, dining, kitchen, eating area, family rm, bdrm/office, and a 2 piece bathroom. Upstairs has 3 bdrms, 2 bathrooms with generous Master Bdrm & ensuite. Downstairs has entertainment room w/home theatre, another bdrm, and laundry/workshop space. Oak hardwood floors, heated bathroom floors and many other features. Truly a must see house in a prime neighbourhood. Kerrisdale Elementary & Pt Grey High School catchments. Open Sat/Sun Feb 27th & 28th 2-4pm.